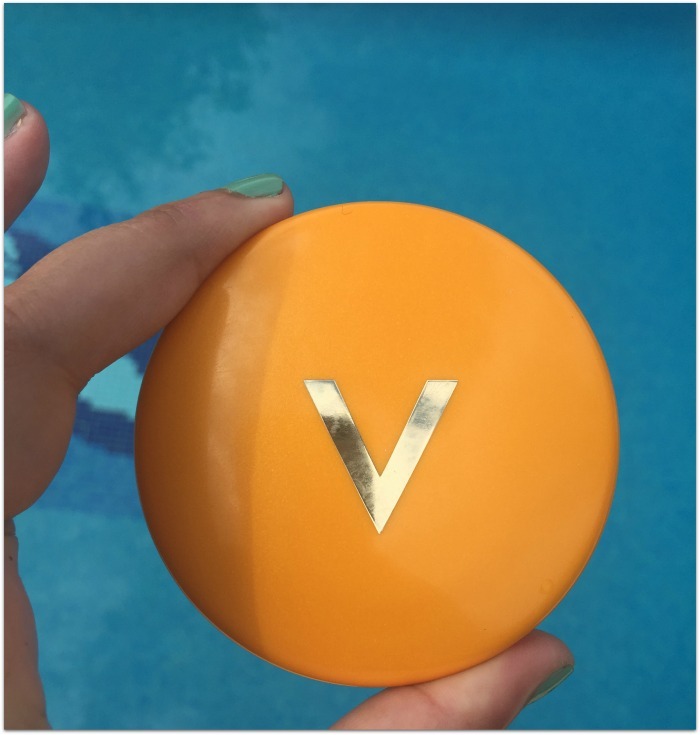 I’ve mentioned this a few times (like this post on my favourite Vichy sun products), but since it’s become a warm-weather must-have for me, I figured the Vichy Beautifying Sun Protection Compact deserved its very own post. 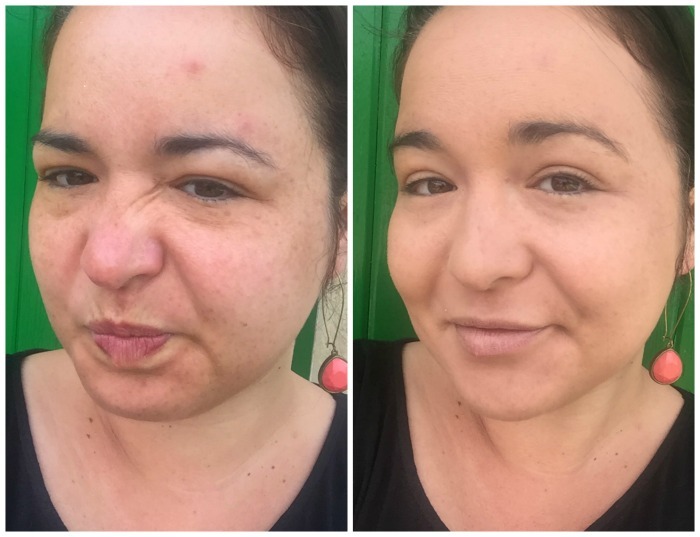 I don’t know about you, but I can’t deal with fussy, extended beauty routines when it’s hot outside, and what I love about this is that it’s quick, it’s easy, and it does several jobs at once. This unassuming little compact promises to protect like a sun cream, spread like a fluid, mattify like a powder and beautify like a foundation. 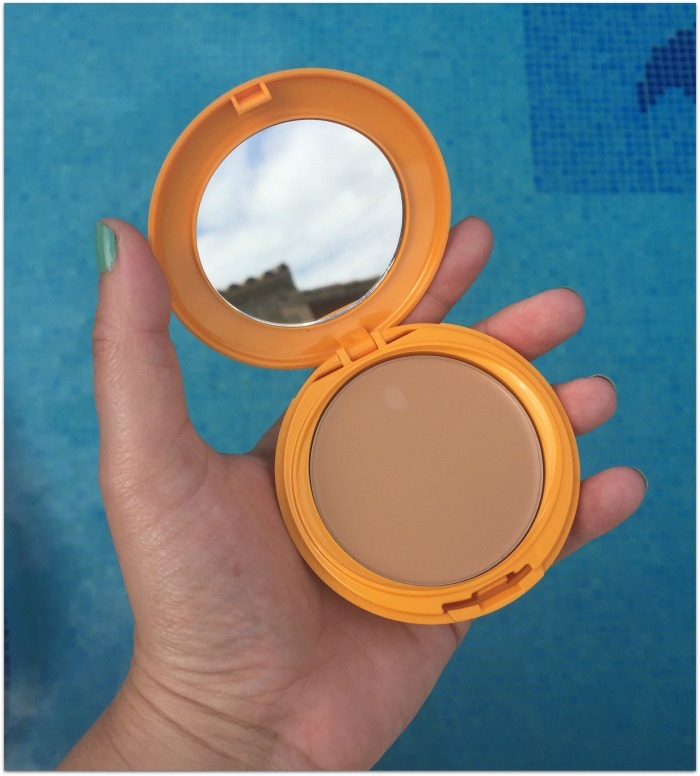 It’s also under twenty quid (€19.50 to be exact), and the ideal travel companion: the compact is portable, durable, has a nice big mirror and because it’s a cream, not liquid, you don’t need to be worrying about taking it on the plane. As you can see from my before photo here, I am not a glamorous traveller. Yes, those are mosquito bites on my forehead, I have a sun blister on my lip, my nose and cheeks are bright red, my forehead is shiny and my freckles are out in force. A quick swipe of this sorts all of that out, evening out my skintone, disguising all my ouchy bits and getting the shine situation under control. The formula is great: there are dry oils and emollients to help it blend easily over the skin, and absorbing agents like kaolin and perlite to soak up excess oils for a matte – but not drying – finish.Crucially, it also contains SPF 30 which protects against UVA rays, which cause ageing, and UVB rays, which are the ones which contribute to skin cancer. I’d love to see more colours added to the range – currently, there are just two shades, Golden or Sandy Beige, and I’m a little bit too dark for the one I have now. But otherwise this is pretty much perfect and it’s been a staple of my beauty bag for travel, holidays and festivals as well as day to day life when the sun shines. Are you a convert yet?